Like something out of an old Hollywood film, this elegant rose bouquet is all about vintage romance. Honor your timeless love with 12 ravishing roses and a magnificent vase she'll always hold close to her heart! 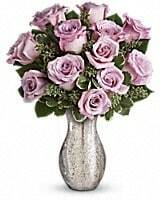 Like something out of an old Hollywood film, this elegant rose bouquet is all about vintage romance. 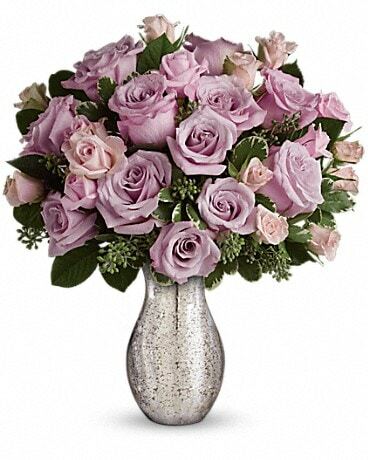 Honor your timeless love with 16 ravishing roses and a magnificent vase she'll always hold close to her heart! 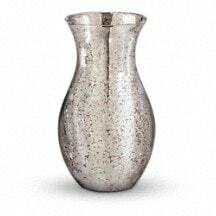 This exquisite silver mercury glass vase is an exclusive creation from Teleflora's celebrated Flowers-in-a-Gift collection. It will be a favorite for years to come.